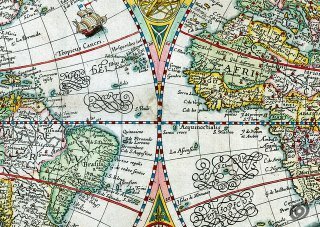 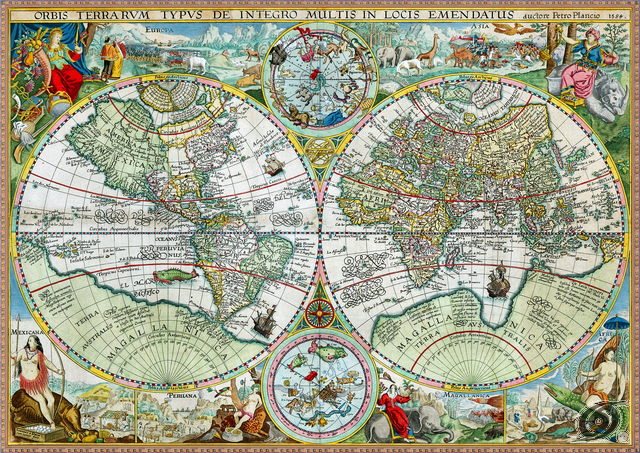 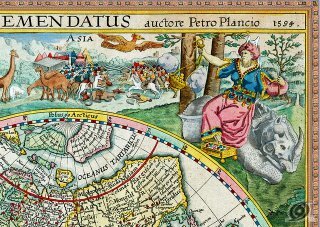 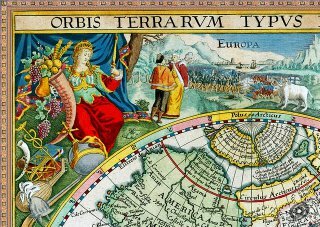 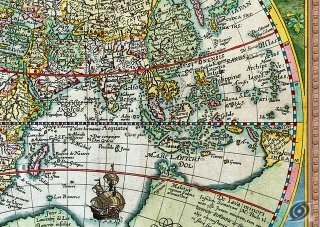 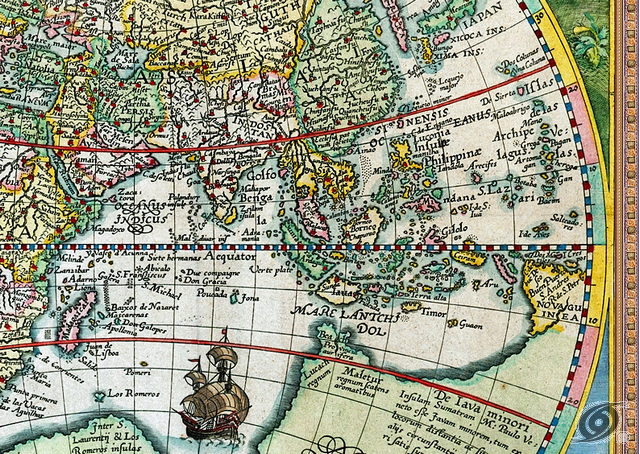 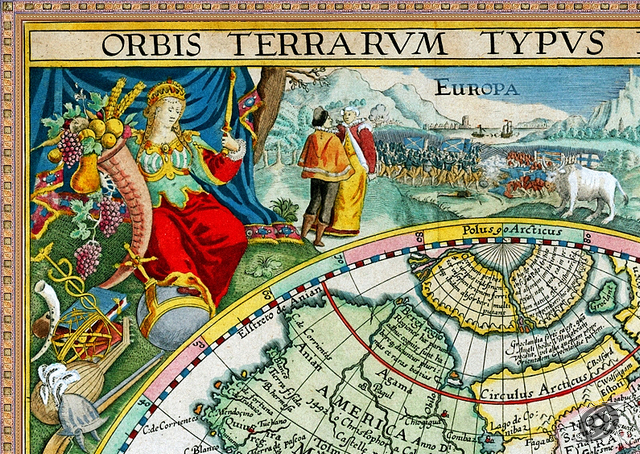 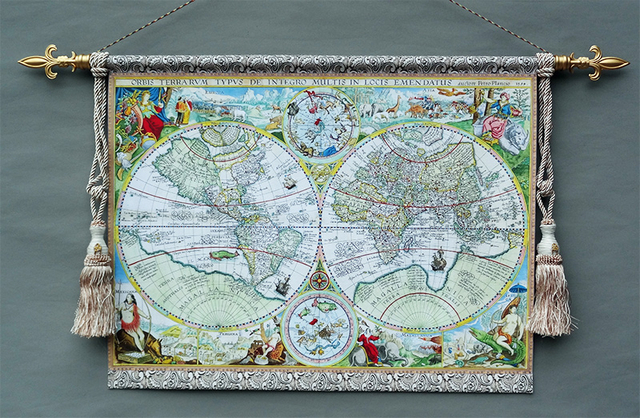 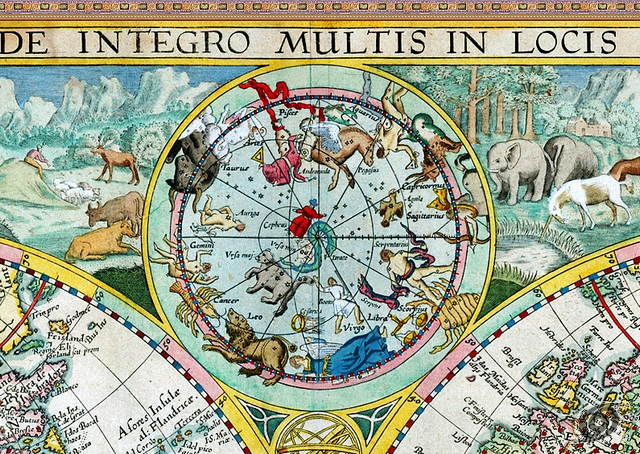 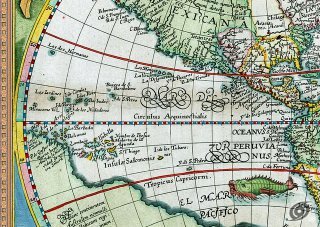 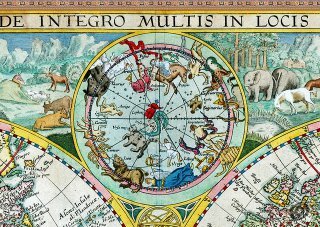 This is the first world map to use the highly decorative border scenes with allegorical representations of the continents that came to dominate world maps later in the 17th century under Willem Blaeu, Henricus Hondius and others. 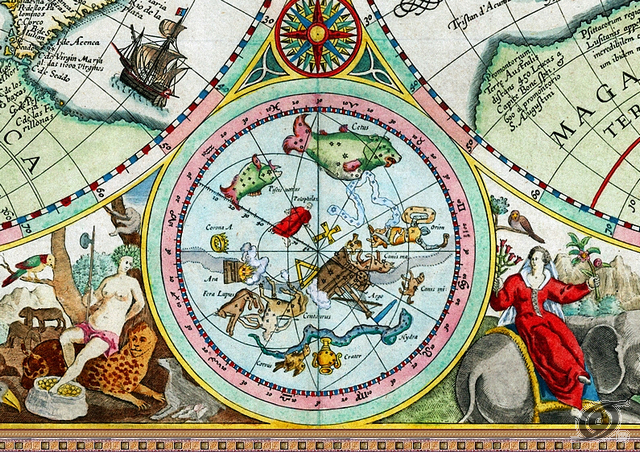 The scene in the upper left is of Europe with an allegorical representation of Europa and a cornucopia of plenty, two armies engaged in battle, and two people and a pastoral scene with animals. 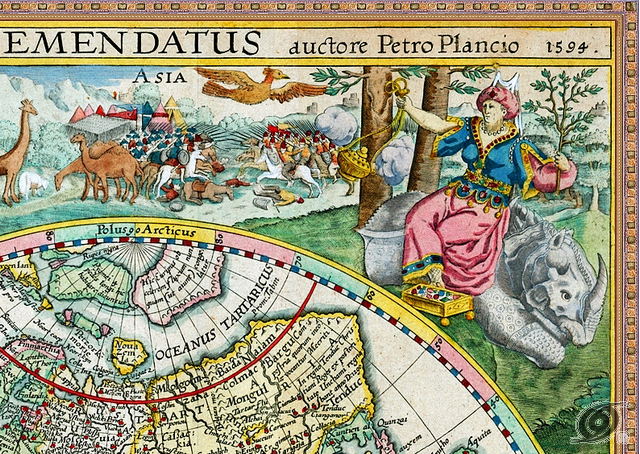 Asia is at the top right with an Asian wearing jewels sitting on a rhinoceros, two armies in battle, and various animals, including a unicorn, of Asia. 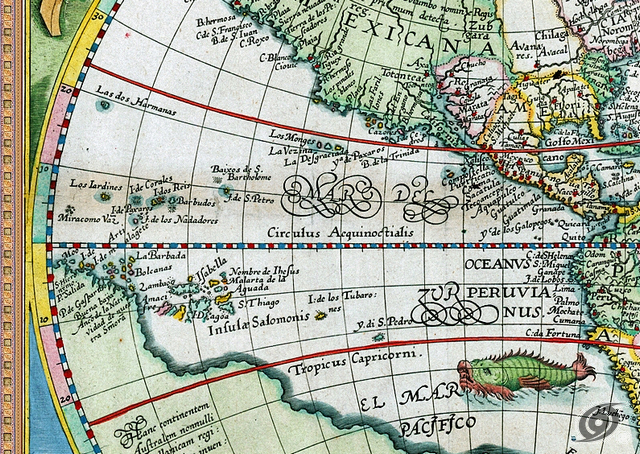 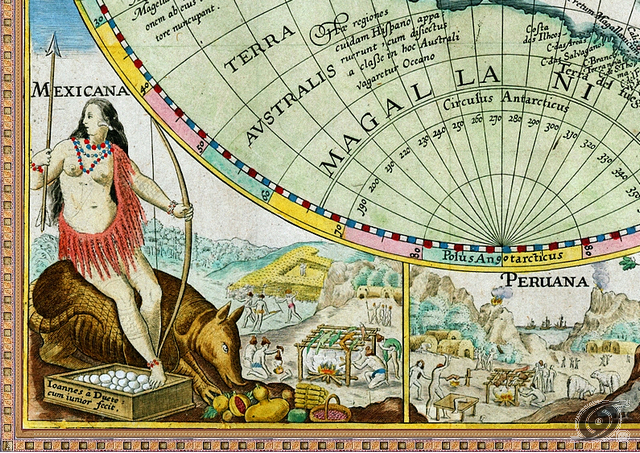 The Americas (as "Mexicana" and "Peruana") is at the bottom left with an American Indian sitting on an armadillo with various scenes of Indian life. Africa is at the bottom right with an African sitting on a crocodile and a scene of an African village, pyramids with numerous animals (elephants, lions, etc.). 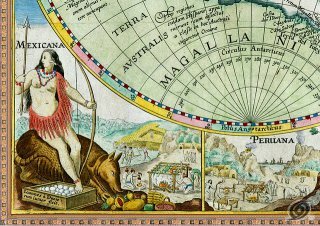 Beside Africa is Magallanica (from Magellan), the supposed great southern continent, with a person on an elephant surrounded by other animals. 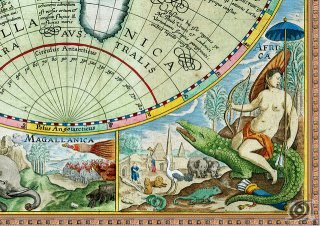 These scenes are inspired by Theodore de Bry's work about early exploration of the world from a few years before.